The revised Manitoba Provincial Nominee Program (MPNP) is the center of attention for thousands of candidates across the globe. People show a willingness to be in Manitoba mainly because of plentiful job opportunities and better living. The new labor market strategy for immigrants is defined to benefit mainly the labor market. Now, there’s a high chance of the candidates falling under skilled worker category with a job letter to be awarded. 1 What’s the purpose of new strategy? What’s the purpose of new strategy? There’s been a recent change in the government of Manitoba. The Progressive Conservatives have taken control of the province offices in April 2016. The new changes in the strategy are the initiative of the Progressive Conservatives. Manitoba’s Labour Market Projections for 2016 – 22 clearly show that immigrants, who fall under the category of skilled workers and occupation-specific skills, are likely to get approval and receive arrival request in Manitoba. Moreover, entrepreneurs can start a successful business in the province of Manitoba. The provincial government is dedicated to bringing 167k new job openings and provide good opportunities to the natives and immigrants. Sales and service sector has the highest demand of jobs in the coming years. Business and finance, health, trades, and transportation are the other sectors having high job openings. Workers with the required skills will be able to apply and benefit from every opportunity to become a permanent resident. 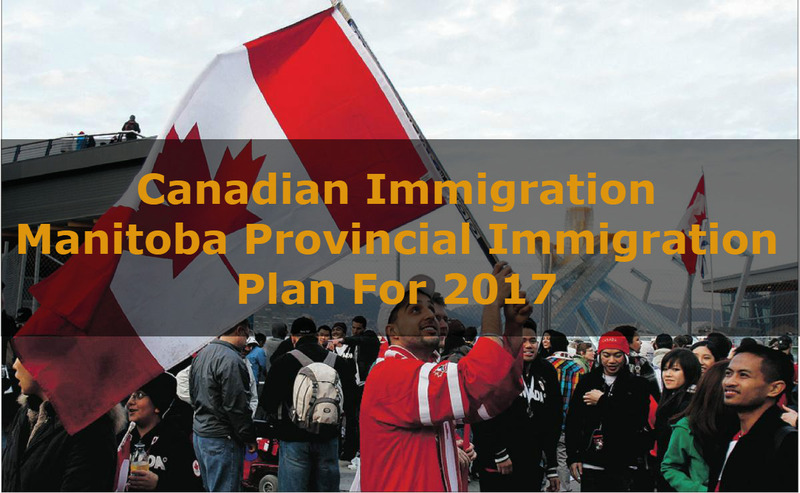 The federal government is showing some interest to increase their immigration target for Manitoba and it’s evident from their 2017 Immigration Levels Plan. Through the economic categories, Manitoba government is dedicated to improving its share of nomination over the coming years. We will see major changes in the MPNP Expression of Interest System for Skilled Workers because the local government is planning to connect more with Employers and offer a clear gateway to candidates for permanent residence. In 2015, a large number of MPNP’s were granted to the candidates falling in the Skilled Worker Category. From an unofficial source, 58% MPNP’s were awarded to the foreign skilled workers and 42% nominations were awarded to the international candidates who graduated from authentic institutes in Manitoba. Recruitment Missions. After candidates make a formal Expression of Interest (EOI), MPNP representatives interview foreign skilled workers and sending them the invitation to apply. Exploratory Visits. MPNP may call-up those candidates who have recently undertaken Exploratory Visit and graduated in an interview by program official. MPNP has stated several points in their draft plan in which you can get more benefits from a number of education and industry partnerships. Provincial immigration is further divided into different segments that will target newcomers and recruit them. The government of Manitoba has issued the blueprints for the beginning of 2017. They have enlisted so many figures that will be benefitted the most because of the new MPNP. Though, they will bring more changes later in 2017. As of now, there’s no application or processing fee is charged from the candidates. It’s possible that a non-refundable fee of 500 CAD may be introduced in April 2017. This fee will be charged to help the cause of eliminating the backlog. Only candidates who are drawn from Expression of Interest (EOI) pool will be charged this fee. The government will be releasing the new pathways and programs, after April 2017.